Paperback, Pages: 348 - Now with stronger, more durable cover pages! In his own unique style, GM Alexander Morozevich draws readers’ attention to the necessity for a modern approach to the study of openings, harnessing the power of human judgment and intuition to the cold calculation of the computer engine. This time he deals with a position that can arise either from the Benoni or the Saemisch Variation of the King’s Indian Defence – and endeavours to provide an answer to a little explored question: “In whose favour are the pawn moves a2-a4 and ...a7-a6 ?”. Moreover, just like his article in Chess Informant 124, a move of the other rook’s pawn, …h7-h5, also comes under the spotlight! Only this time, Moro chooses to side with Black, offering a whole new range of ideas which exclude(!) the moves a2-a4 and ...a7-a6, whilst explaining the subtle differences between the old and the new approach to this kind of opening position. 2. Interesting ideas that have only made an appearance in rapid chess can also be very worthy of study! CI 126 focuses to a large extent on the FIDE World Cup 2015. Bearing in mind the high stakes of this tournament – after all, it is a stage in the FIDE World Championship cycle – as well as the calibre of the 128 participants (35 players rated above 2700, 105 players rated above 2600), we simply could not miss the opportunity to present a large selection of its high-quality games, annotated by the contestants themselves. So let’s have a more detailed look at the rich content of CI 126. Leading Indian GM Pentala Harikrishna draws the reader into the world of imaginative calculation, starting with a game from the World Cup in which Ukrainian GM Yuri Vovk gives a lesson in the art of pursuing an initiative to the young American star Ray Robson. The second game, played at the European Club Championship in Skopje, brings us up to date with the feud between Kramnik and Topalov, which has been going on since their bitterly contested match of 2006. This is followed by a curtain-raiser for next year’s eagerly awaited ladies’ world title showdown between Hou Yifan and Mariya Muzychuk. Finally, Pentala annotates a spectacular win which helped him win the recent Poker Stars Open on the Isle of Man. Just feel the rush of adrenalin as Russian GM Ernesto Inarkiev invites you to join him step-by-step on a non-stop chess adventure, lasting a whole month and packed tight with one tournament after another. With such a demanding schedule, not only is it vital to maintain a consistently high level of play but also the ability to cope with long-distance travel, changes of diet and environment and even differing conditions of play. Yet Ernesto not only managed to keep his composure and fighting spirit, so to be well satisfied with the results of his chess marathon, but also had enough energy left to annotate ten games and fragments for Chess Informant. Now that’s a true pro for you! GM Mihail Marin's latest serving of “Old Wine in New Bottles” will give readers a taste of the joys of exploiting the weakest link in an opponent’s pawn chain – the f7 or f2 squares! Included in this intriguing survey of the way past and present GMs have attacked and defended these vulnerable points are no less than three(!) encounters from the World Cup final match between GM Sergey Karjakin and GM Peter Svidler. It may well be harder to play the brilliant combinations of yesteryear because of today’s superior defensive technique but let there be no mistake – the Achilles Heel of the chessboard is here to stay! GM Emanuel Berg looks at an old Steinitz idea in the Ruy Lopez which has recently enjoyed an unexpected revival. After a century or more of automatically playing 6.Re1, White players have now gone back to an idea of the first world champion: 6.d3. Two games from the World Cup with this deceptively modest move are examined, from both White and Black’s point of view. Curiously, each of these “mirrored” examples was played in Round 4 of the World Cup and shows clearly the likely directions of play after White’s humble early pawn advance. So it will be well worth studying Emanuel Berg’s analysis of these games, Wei Yi vs. Ding Liren and Veselin Topalov vs. the eventual finalist, Peter Svidler. 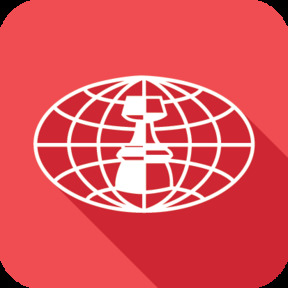 PLENTY OF THE HIGH-QUALITY WORLD CUP CHESS TO STUDY DURING THE HOLIDAYS ... AND EVEN AFTER! This blockbuster knockout tournament put on full display the many facets of today’s top-level chess. Ten GMs fully annotate 28 thrilling World Cup games. Our grandmaster contributors, eight of whom were amongst the competitors, span the world: Europe, Asia, Africa, North and South America: GMs Wojtaszek (POL), Nisipeanu (GER), Amin(EGY), Leitao (BRA), Shankland (USA), Ipatov (TUR), Mareco (ARG) and Sethuraman (IND). In addition, our regular columnist GM Michael Roiz presents a feast of exciting tactics by uncompromising players, while GM Sarunas Sulskis explores those unfathomable depths of winning strategy! And all this is only about half of the content of CI 126, which as always has been carefully HAND-KNITTED for your entertainment and instruction! 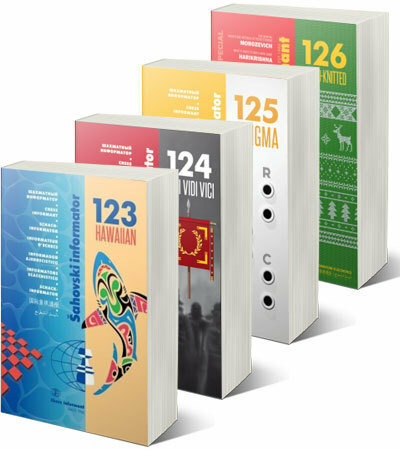 The second half of CI 126 continues our half-century tradition of publishing the most interesting games, combinations, endings and studies from recent events, together with non-verbal annotations by the players themselves or our in-house team of grandmasters and international masters. As printed format has its limitations, there was enough space for (only!) 201 all-annotated games, of which one third were played in the World Cup. Our list of annotator participants is completed by Peruvian legend GM Julio Granda Zuniga and young Chilean GM Cristobal Henriquez Villagra who caused a major upset in the first round by defeating the venerable elder statesman of the 2700+ club, Boris Gelfand.